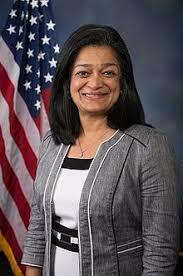 WASHINGTON—Pro-worker legislation, including equal pay for equal work and an updated stronger version of the Employee Free Choice Act, are part of the progressive platform lawmakers will try to push through the Democratic-run House in the 116th Congress, Rep. Pramila Jayapal, D-Wash., the Congressional Progressive Caucus co-chair, says. And solons got a head start on that platform with two House Education and Labor Committee hearings the week of Feb. 11. Teachers (AFT) President Randi Weingarten and other witnesses discussed crumbling classrooms and underpaid teachers and staff on Feb. 12. The next day, the panel got down to work on the Workplace Fairness Act, designed to put teeth into equal-pay-for-equal-work law. And that’s not all. Other pro-worker causes pending before solons include the non-binding resolution for a Green New Deal, which includes more than just a pledge to switch the U.S. over to non-fossil fuel energy sources over a 10-year period. And Rep. Andy Levin, D-Mich., a former AFL-CIO staffer, introduced legislation to undo a Trump decision to let employers get away with infrequent reporting of workplace injuries. The Green New Deal also envisions construction of new and clean infrastructure, training workers for high-paying clean energy jobs and reversing historic discrimination, in those industries and elsewhere, against women and minority-group workers. Meanwhile, lawmakers and gun control advocates pushed for strong gun control legislation, a year after the Valentine’s Day Massacre at Florida’s Marjorie Stoneman Douglas High School. There a gunman murdered 14 students and three AFT-member teachers, setting off a nationwide student-led campaign for stiffer gun control. And the students voted, helping elect pro-gun control lawmakers. Pramila Jayapal serves as the U.S. Representative from Washington’s 7th congressional district, which includes most of Seattle as well as suburban areas of King County. Rep. Jayapal outlined the pro-worker measures as leadoff speaker on Feb. 8 at the conference on the future of unions, which AFT’s think tank and the Century Foundation put together. An organizer herself, Jayapal also stressed the best way to get the measures approved, as well as mobilize for worker power, was to ensure – and organize – wide community support, by highlighting community-oriented issues and folding worker causes into them. Medicare For All. 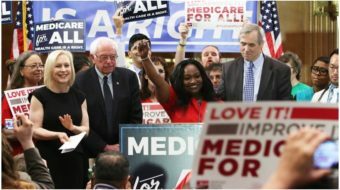 Jayapal is now the lead House sponsor and promised to introduce a new and more comprehensive Medicare For All bill “within a few weeks.” She also previewed a key campaign theme for it: Targeting the greedy health insurers. “Insurance companies have had a run of declining care and increasing profits,” even under the Affordable Care Act, Jayapal said. “What is unaffordable” for the U.S. “is 80 million uninsured and underinsured people while the country spends 19 percent of its GDP on health care.” Sen. Bernie Sanders, Ind-Vt., its longtime sponsor there, will reintroduce it in the GOP-run Senate. The Workers Freedom to Negotiate Act. Though Jayapal described the measure’s aims as “to stop misclassification of workers” as “independent contractors” without worker rights and “to stop (state) right to work laws,” the measure is actually a lot more. First unveiled late last year by Rep. Bobby Scott, D-Va., now the Education and Labor Committee chairman, the bill is actually the updated, expanded and strengthened Employee Free Choice Act, a Scott fact sheet says. Its provisions include larger fines and damages for labor law-breaking employers, plus fines and damages against individual corporate officers and directors. It also would immediately reinstate workers illegally fired for union organizing – and without waiting for a court order – and let individuals sue firms for labor law-breaking when the NLRB won’t. The bill would also allow secondary boycotts, reinstate fair share fees for public workers – overturning the Janus decision by the U.S. Supreme Court’s 5-man GOP-named majority – and reinstate workers’ rights to file class action suits, which the justices also threw out. And it would require mediation and arbitration if the two sides can’t reach a first contract, and write into law the NLRB’s proposed “joint employer” rule, which Trump’s board threw out. That rule said big corporate franchises – think McDonald’s headquarters – that actually set labor policy for their franchise-holders are jointly responsible for obeying, or breaking labor law. Jayapal’s list adds to the agenda of the 98-member Progressive Caucus, the largest such group in the Democratic-run House. Also prime is the Green New Deal, unveiled by Rep. Alexandria Ocasio-Cortez, D-N.Y., and Sen. Edward Markey, D-Mass. That measure will go to a special House committee Speaker Nancy Pelosi set up. And while it’s just a resolution – a statement of goals – and not a proposed law, it’s a flagship for progressive forces in Congress and includes more than just making U.S. energy consumption “green” by 2030. That hasn’t stopped the GOP in general from trying to smear it. GOP President Donald Trump, meanwhile, aims a “socialism” smear at Medicare For All. By contrast, five Democratic senators seeking the party’s 2020 presidential nomination against Trump have already signed on to the Green New Deal: Kirsten Gillibrand of New York, Amy Klobuchar of Minnesota, Elizabeth Warren of Massachusetts, Kamala Harris of California and Cory Booker of New Jersey. So has Sanders, who is pondering another White House run. “We need bold action to avoid the worst impacts of climate change, and we may have as few as 12 years to achieve it. The extreme weather, storms, droughts, and wildfires of recent years have made the worsening effects of climate change impossible to ignore,” Markey and Ocasio-Cortez said. 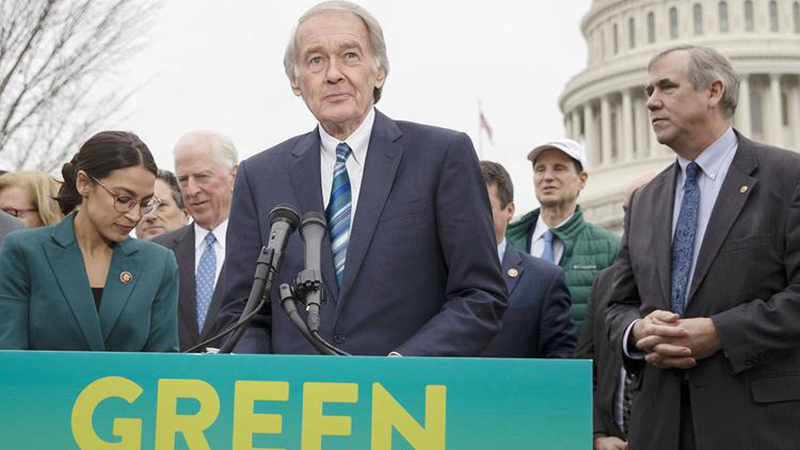 “We can create high-quality jobs and enforce labor standards, guarantee rights to retirement security and health care, and conduct inclusive decision-making in this Green New Deal,” Sen. Markey stated. Ocasio-Cortez, a Democratic Socialist, made the Green New Deal a prime plank in her upset victory in a New York City congressional district last year and even led a sit-in at Pelosi’s office early this year to demand action on the issue. That forced Pelosi to re-create the special climate change committee. “For too long, we have seen inequality soar, social injustices fester, worker protections and labor unions erode, and wages stagnate,” added a top co-sponsor, Sen. Jeff Merkley, D-Ore. Besides the Progressive Caucus, the Green New Deal’s initial backers include Service Employees Hospital and Health Care Workers Local 1199 and Local 32BJ, which represents janitors and other custodians. Others include the Labor Network for Sustainability and the National Domestic Workers Alliance, along with environmental and progressive groups. 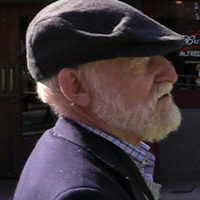 Levin’s bill, his first, would reverse a Trump Labor Department decision to dump a new Occupational Safety and Health Administration injury-reporting rule. That rule required more-frequent reporting, public reports posted on the Internet, and retention of job safety and health records for five years.